Imagine tearing off that irritating mask and turning off the noise forever. If that sounds great, chances are you’re one of the roughly 50% of sleep apnea patients who simply can’t tolerate their CPAP machines. According to experts, that works out to about 6 million people. So if you find yourself hitting the off switch in the middle of the night, you’ve got a lot of company. But knowing you’ve got company doesn’t solve the problem. You still know that, without help, you’re probably going to stop breathing hundreds of times a night and wake up literally gasping for air. And you know that not only does your sleep apnea leave you exhausted during the day (and a potential menace behind the wheel), it can lead to a variety of life threatening problems like high blood pressure, cardiovascular disease and stroke. Fortunately, there’s an answer -- a new technology that means you don’t have to choose between the dangers of sleep apnea and the discomfort of CPAP therapy. Now, I can fit you with one of today’s comfortable and extremely effective FDA-approved devices that help keep airways open without the inconvenience of CPAP machines. They’re small and convenient so traveling with them is a breeze. 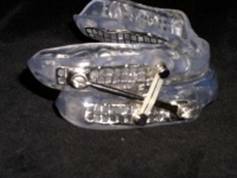 In fact, these small, lightweight oral devices work so well they are now considered a truly effective alternative to CPAP for patients with mild to moderate sleep apnea -- and for those with severe sleep apnea who can’t tolerate a CPAP machine. “When I first got my CPAP machine I was really excited. Finally, I thought, I’d get a good night’s sleep and stop feeling so tired during the day. Then I tried it and I absolutely hated it. I hated the mask, the noise, the feeling of air being forced into my nose and the way I couldn’t move around in bed and get comfortable. I made a real effort to get used to it, but night after night I just couldn’t fall asleep. So I’d end up taking it off after an hour or two. Talk about frustrating. I knew I needed help but the thing just didn’t work for me. Fortunately, I mentioned my problem to my dentist, Dr. Magida, and he had the answer. 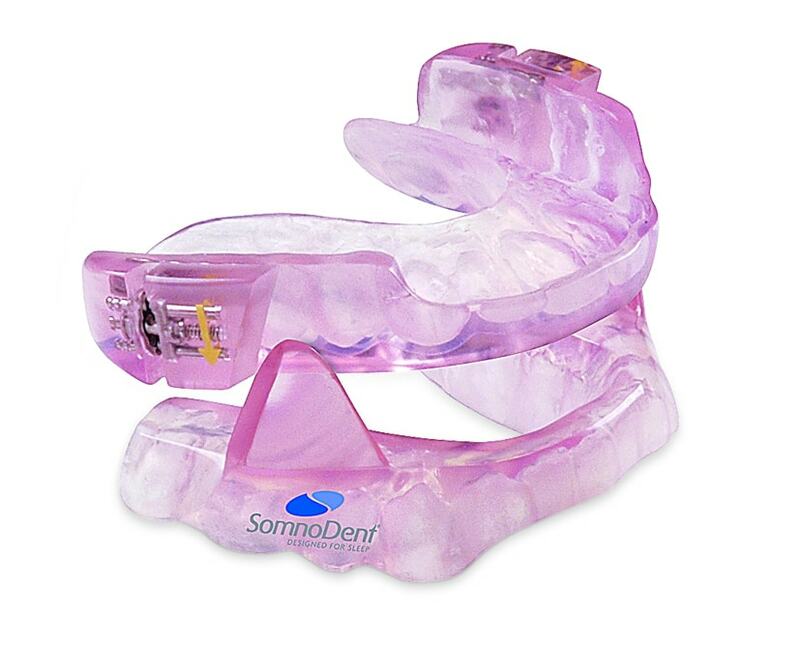 He fit me for an oral sleep apnea device that’s no bigger than the mouthguard I wore when I played sports. It’s exceptionally comfortable and it really works. There are literally dozens of styles of oral devices, each with different advantages. My job is to find the right one for you, based on things like the severity of your apnea, the size and shape of your jaw and tongue and whether you grind your teeth or have a condition like TMJ. Whether you’re one of the millions of people who would love to throw away their CPAP machine or someone newly diagnosed with sleep apnea who’s looking for a treatment that really works, there’s an oral device that’s right for you. I’ll help you choose the right device, then fit it precisely so it works effectively and gives you all the comfort you’re looking for. I’ve been fitting patients with oral devices for years now and I love seeing the difference finally controlling their sleep apnea makes in their lives. The changes can be simply amazing. With proper rest they look better, feel better and tell me their entire lives have improved. They say they’re accomplishing a lot more at work and still have plenty of energy left over to have fun. Isn’t it time to start waking up refreshed and feeling energetic all day long? Call (215) 968-7787 for an appointment today! “I tried very hard to adapt to the CPAP machine -- I gave it almost a year but it was so uncomfortable and wasn’t really working. It was just so frustrating.